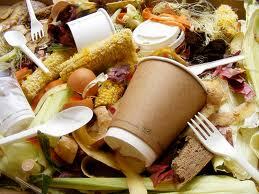 Food waste is one of the single largest constituent of municipal solid waste stream. In a typical landfill, food waste is one of the largest incoming waste streams and responsible for the generation of high amounts of methane. Diversion of food waste from landfills can provide significant contribution towards climate change mitigation, apart from generating revenues and creating employment opportunities. Of the different types of organic wastes available, food waste holds the highest potential in terms of economic exploitation as it contains high amount of carbon and can be efficiently converted into biogas and organic fertilizer. Food waste can either be utilized as a single substrate in a biogas plant, or can be co-digested with organic wastes like cow manure, poultry litter, sewage, crop residues, abattoir wastes etc or can be disposed in dedicated food waste disposers (FWDs). Rising energy prices and increasing environmental concerns makes it more important to harness clean energy from food wastes. Anaerobic digestion is the most important method for the treatment of food waste because of its techno-economic viability and environmental sustainability. The use of anaerobic digestion technology generates biogas and preserves the nutrients which are recycled back to the agricultural land in the form of slurry or solid fertilizer. The relevance of biogas technology lies in the fact that it makes the best possible utilization of food wastes as a renewable source of clean energy. A biogas plant is a decentralized energy system, which can lead to self-sufficiency in heat and power needs, and at the same time reduces environmental pollution. Thus, the benefits of anaerobic digestion of food waste includes climate change mitigation, economic benefits and landfill diversion opportunities. Anaerobic digestion has been successfully used in several European and Asian countries to stabilize food wastes, and to provide beneficial end-products. Sweden, Austria, Denmark, Germany and England have led the way in developing new advanced biogas technologies and setting up new projects for conversion of food waste into energy. Anaerobic digestion of sewage sludge is wastewater treatment facilities is a common practice worldwide. Food waste can be codigested with sewage sludge if there is excess capacity in the anaerobic digesters. An excess capacity at a wastewater treatment facility can occur when urban development is overestimated or when large industries leave the area. By incorporating food waste, wastewater treatment facilities can have significant cost savings due to tipping fee for accepting the food waste and increasing energy production. Wastewater treatment plants are usually located in urban areas which make it cost-effective to transport food waste to the facility. This trend is catching up fast and such plants are already in operation in several Western countries. The main wastewater treatment plant in East Bay Municipal Utility District (EBMUD), Oakland (California) was the first sewage treatment facility in the USA to convert post-consumer food scraps to energy via anaerobic digestion. EBMUD’s wastewater treatment plant has an excess capacity because canneries that previously resided in the Bay Area relocated resulting in the facility receiving less wastewater than estimated when it was constructed. Waste haulers collect post-consumer food waste from local restaurants and markets and take it to EBMUD where the captured methane is used as a renewable source of energy to power the treatment plant. After the digestion process, the leftover material is be composted and used as a natural fertilizer. The first food waste anaerobic digestion plant in Britain to be built at a sewage treatment plant is the city of Bristol. The plant, located at a Wessex Water sewage works in Avonmouth, process 40,000 tonnes of food waste a year from homes, supermarkets and business across the southwest and generate enough energy to power around 3,000 homes.